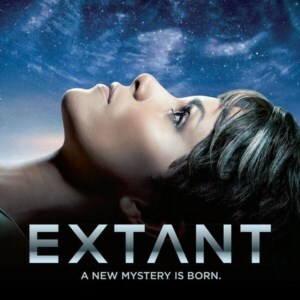 Extant is a science fiction TV show I've recently gotten hooked into. It follows the wild life of an astronaut, Molly Woods (played by Halle Berry). It explores the dynamics of a multi-dimensional family consistent of three species: human, alien, and robot. Each species has their own objective in survival. The biggest question becomes how do the dominant race (the humans) work through the challenges of an alien invasion at the same time as the beginning of self-aware robots? To be honest, I was drawn into the show when I saw Halle Berry was part of the cast. And because the trailer had a theme of extinction, I was further convinced that this was a TV show I'd enjoy. After blazing through season 1, Extant has become one of my new favorite TV shows. The robot theme of Extant reminded me of the movie I Robot, which I enjoyed as an action movie. But Extant dives deeper into the world of robotics than I Robot did. Watching Ethan (the robot boy) intellectually grow up from a child with the kindness of his makers was something worth pondering about. Will the world we live in be wise enough to program robots to be kind, or will robots be militarized at the first chance?